Houston LASIK & Eye understands that you likely have an optometrist who you and your family have trusted with your eye care over the years. 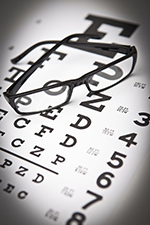 Visits to your optometrist’s office may be more convenient and comfortable for you. Houston LASIK & Eye co-management program allows us to work with your optometrist to provide a team approach to your post-surgical care. Houston LASIK & Eye believes that once patients are stable following surgery, they can be managed by their optometric physician. We will help coordinate the care to ensure your that the transition in your care is seamless. If you are looking for an optometrist close to you, our directory below may be of help. The eye doctors below are exceptionally qualified and provide superior and state-of-art eye care. We have worked with the optometrists below to provide superior outcomes to our patients. They come with our highest recommendation.